With energy demands soaring worldwide, more and more hydropower dams are being constructed since these present a viable ‘green’ option for countries with hydro potential. Under ideal circumstances, dams can secure a steady supply of energy as well as create jobs and improve living conditions for nearby communities. Of course such construction has also raised serious concerns about the impacts on survival and human rights of people in affected areas, and on the surrounding natural ecosystems. Dams certainly do not come without costs; deterioration of water quality and soil degradation, physical changes to the landscape, and negative consequences due to the disrupted natural flow of rivers have been discussed by activists, scientists and policymakers alike. However, despite the strong link between dams and a lack of food for downstream and upstream communities, very few academic studies touch upon the broader relationship between hydropower and food security, the latter being defined by the United Nations Food and Agriculture Organisation (FAO) as “access by all people at all times to enough food for an active, healthy life”. This link is even more pertinent in the current context of global food price rises, climate change and large expected increases in energy demand across the developing world. The population and GDP of Cambodia are rising and so is its demand for electricity. With only two dams currently in operation, the government of Cambodia is actively promoting the construction of new hydroelectric power plants. At the same time, some of Cambodia’s main shortfalls to achieving the Millennium Development Goals (MDGs) are high rural poverty rates, high inequality and a slow reduction in the rate of food poverty. In April 2011, Cambodia announced that it would proceed with its Vietnamese partner on a US $700 million hydroelectric plant along the Lower Sesan River, with construction to start by the end of this year. The joint venture will force the resettlement of around 5,000 people and there are fears it will exacerbate problems such as poor water quality, irregular water flows and a reduction in fish stocks, caused by previous dams in the “3S Rivers” area Sesan, Srepok and Sekong flow through Laos, Vietnam and Cambodia. Many of these groups are located in Cambodia’s northeastern Ratanakiri province where the Sesan river has been experiencing serious ecological and socio-economic impacts of hydropower since 1996 when the first of three planned upstream dams (the Yali Falls dam) was built in Vietnam. Rural communities living along the river here typically experience food shortages for 3 to 6 months every year. While it would be unfair to argue that this is entirely due to the effects of hydropower projects, fieldwork results have shown that the correlation is significant. The UN World Food Programme (WFP) reports that rural households in Ratanakiri experience a high prevalence of external shocks — a major source of their livelihood loss that is also is causing illnesses, crop damage and livestock deaths. Dams have disrupted the natural flow of the Sesan and rendered floods and droughts unpredictable and more severe when they do happen. Sudden flash floods, that often occur at night when water is released from the reservoir, also damage houses and roads, closing access to local markets. Other incidences of stress — in the form of declining availability of fisheries, agricultural products and forestry — have, according to some studies, been reported by around half the households utilising these resources. “Our rice field is about two hectares in size, however, after an unexpected flash flood recently, only half a hectare remained, which was not enough to feed my family,” an ethnic Kreung Woman from Phnum Kok Commune in Ratanakiri Province, said in describing changes induced by the Yali Falls dam. 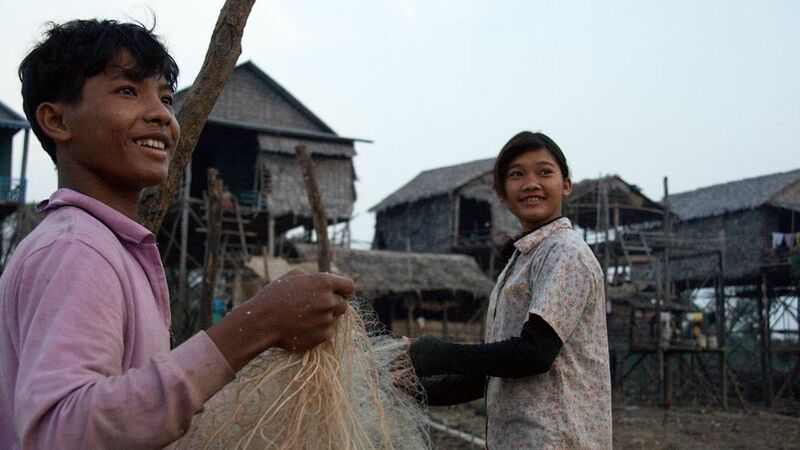 Traditionally, rural households in Ratanakiri were mostly subsistence farmers, relying on one rice crop per year, combined with vegetable products from chamkars (non-rice yielding gardens), as well as on occasional wild plants and non-timber forest products (NTFP). 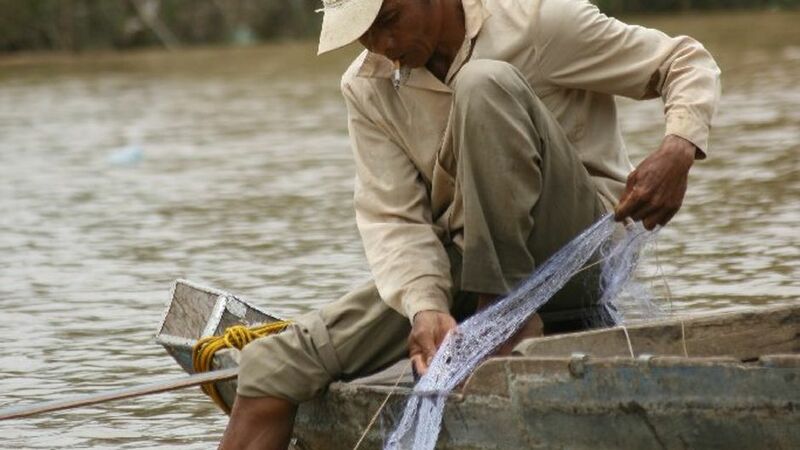 Additionally, Ratanakiri farmers have long diversified into fishing, helping protect them from the risk of agricultural failures. The detrimental effects of hydropower on water quality downstream, however, have resulted in a drastic reduction of fish and other aquatic resources. Local villagers for whom fisheries are essential for achieving food security, say that fewer and smaller fish are being caught in the Sesan. 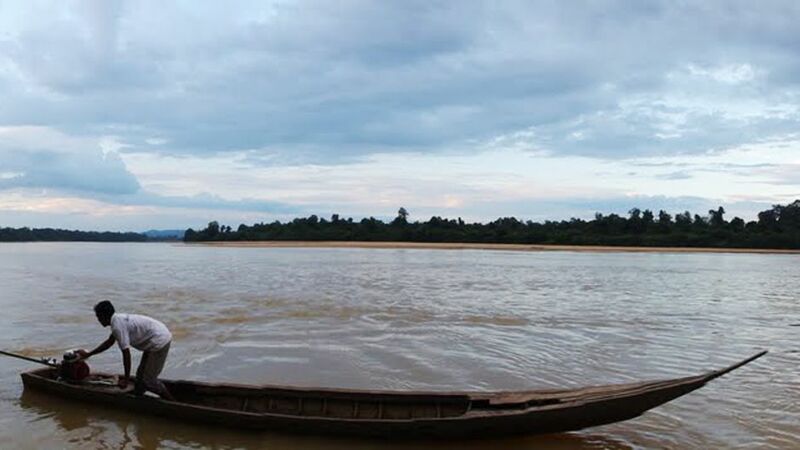 “In the past, my husband used to sell fish to earn money for buying food and medicine, but the fish are gone now and the river is too dangerous, so we neither have fish to eat nor to sell,” explains an ethnic Tompoun woman, in Ratanakiri province. One of the reasons for the scarcity of fish in the Sesan is the force of water released from the dam, which has according to local reports caused downstream erosion. While no official studies have measured its exact degree, examples such as islands in the middle of the Sesan river disappearing after a large surge of water, have been reported. Deep-water pools that are important dry-season refuges for many larger fish species have been filled up with sand, silt and rocks, damaging these crucial habitats. While the ethnic minority villagers living along the Sesan river were to a large extent resilient to external shocks (droughts/floods) prior to construction of the first dam on the Sesan, the large scale hydropower projects have affected people beyond their traditional coping strategies. In a protest against the planned Lower Sesan II dam, villagers argued that their livelihoods have already been negatively affected by the decrease in fish stocks stemming from the construction of Yali Falls dam and were demanding government support. Since fishing is increasingly becoming a non-viable financial option, many fishermen have had to seek alternative occupations that in the area are practically non-existent. In this respect, livelihood diversification (which denotes the ways in which individuals and households change their ways of surviving and earning an income) is extremely important since it can allow families to supplement their usually insufficient main incomes and can reduce the risks of depending on one single source of earning. Diversification of livelihood activities is thus crucial for insuring against the risks of agricultural failures since it provides easy access to income generating activities with very little capital investment and therefore plays a vital role in food security, maintaining and improving nutrition. Unfortunately, livelihood diversification options are extremely limited for riverside communities in remote areas of northeastern Cambodia. Because of a combination of factors, most notably: 1) people’s lack of knowledge and skills to engage in new activities, 2) their sheer poverty/lack of income and 3) extremely limited support and availability of secure job opportunities, the only diversification strategies utilised in the area are short-term migration into uphill areas and occasional labour outside the village. At least one of the strategies is used by practically every household in the area; when the crops fail or their stocks run out (mostly in the rainy season), entire families migrate to higher land and survive by collecting NTFP. Throughout the year, village men also (try to) engage in short term labour for extra income. Unfortunately, neither of these options is conducive to a sustainable and a secure living. Short term migration brings about a plethora of difficulties, from deteriorating health to higher school drop-out rates and secure job opportunities are practically not available. While the few more educated and skilled individuals can find jobs in construction firms or factories, the majority of villagers work on bean, cassava or rubber plantations either for big foreign investors or wealthy domestic farmers. Such jobs are paid very little, (US $2.50 – 3.50 per day) very difficult to find and insecure. “Labour outside the farm is not a good long-term solution because it only gives me enough money to buy a little bit of rice for my family, but not enough even for transport. But it can still save my family during severe food shortages, that is why I do it,” said an ethnic tompoun man from Kachon Kroam village. It therefore needs to be noted that any attempt at diversifying livelihoods will require government and/or international assistance, in the form of literacy and educational programmes, improved infrastructure or promotion of local crafts and trade. What is happening in Ratanakiri and other parts of Cambodia are by no means isolated examples. The Brazilian government recently granted a building permit for the controversial Belo Monte Dam and the Chinese government has ambitious plans to further expand its already extensive hydropower generation. Numerous communities around the world are already struggling with erratic floods, rainy season droughts, fish loss, health problems, loss of land and equipment, deteriorating water quality and other negative consequences of hydropower dams. Nevertheless, hydropower can contribute greatly to economic development by ensuring a reliable supply of electricity at a moderate cost and with little greenhouse gas emissions. The big challenge is to objectively measure both positive and negative consequences of such projects and to ensure all affected parties have an equal say in decision-making processes. This includes ensuring that food security considerations are part of all hydropower impact assessments. Everyone is aware that further development is essential — but we also need to be aware that development carries with it costs that are impossible to deny, let alone ignore. One can only hope that the relatively large amount of information from diverse sources available on the topic will be utilised to inform governments, the private sector and other parties involved in dam planning processes. Surely preventing unnecessary costs and unintended damages upon the most vulnerable communities should be a key consideration of development? Real costs of hydropower in Cambodia by Nadja Skale is licensed under a Creative Commons Attribution-NonCommercial-ShareAlike 3.0 Unported License. Nadja Skale holds a B.A. in International Relations from the University of Warwick and a M.A. in Peace, Human Rights and Social Development from the Graduate School of Asia Pacific Studies at Waseda University in Tokyo. She has, among others, lived and worked in Vietnam, Cambodia, Hong Kong, Serbia and Japan and is particularly passionate about food security, sustainable development and (environmental) migration. Instead of having huge dams, which block of the rivers, and cause all these associated problems, why not have smaller generators which use the naturally flowing water courses, placing them at strategic places along the various river systems, to allow easy access to the power generated, for the smaller local communities as well as the larger towns and cities. Thank you for your comment, Mark. I think this is a very valid point and from my knowledge, tidal power has not really been explored in much depth (in the greater Mekong Subregion there certainly is potential, at least near the mout of the river..) But regardless of what technology is used for power generation, it is crucial that the affected people are consulted before anything is constructed and that the large multinationals (and governments) ensure their projects are accountable and not harmful to the populations whose livelihoods are intimately connected with the rivers. How do the dams disrupt the natural flow of the river and render floods and drought?